The local paper had a poll for Best of Burlington a few years ago, and Big Muddy's was listed in the category of Best Tenderloin. I had been around downtown Burlington before, but had never made my way up Front Street before. This place reopened after the floods of 2008, and draws in crowds with its river view and high end atmosphere. Location: 710 North Front Street in Burlington, Southeast Iowa. 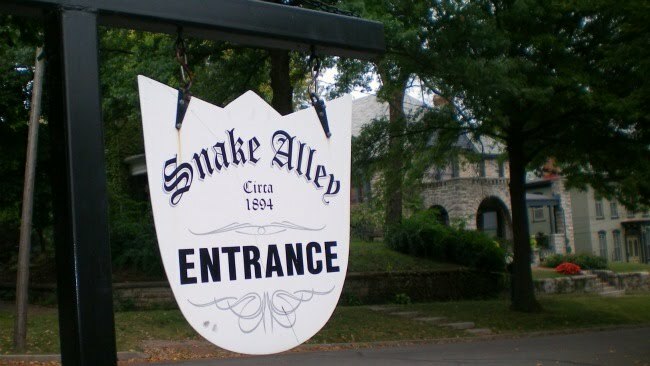 Directions: This place is underneath the gigantic bridge between a hill and the Mississippi River, take N Front street from downtown and park across the street. 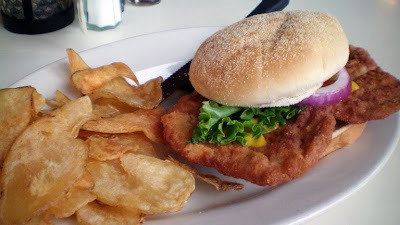 The Tenderloin: Picking up the sandwich, it felt like about seven ounces after cooking. The meat was a medium thickness butterfly cut with a few marks from being stored for a long time. 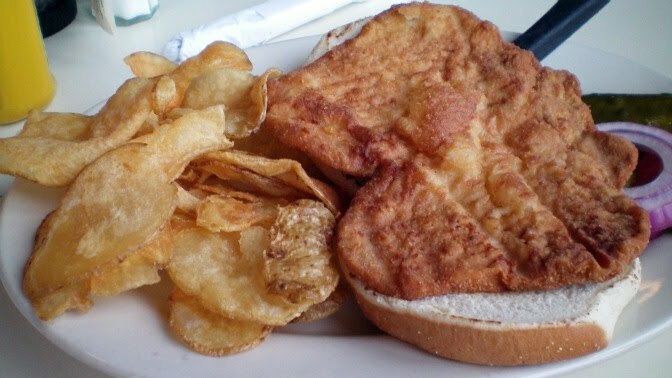 The breading was a thin and fine layer that had just a little seasoning but a good golden brown color. This was a truly okay breaded pork tenderloin. Served with all the fixings on an un-toasted bun. Overall 7.0 out of ten. Price: $7.99 with a side, I chose the homemade chips. Also on the menu: The menu is big, with steaks, sandwiches, seafood, homemade chips, other fried stuff, even frog legs. Service: Its table service with a bar as well. I came during the off hours so the place was nearly empty and I had a good view even though I was by myself. 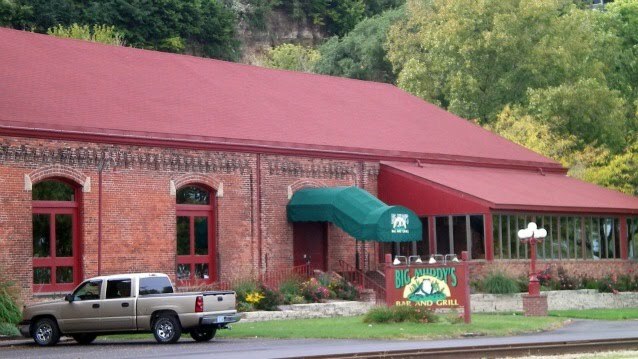 Ambiance: This is a large riverfront building with natural light pouring in from the patio area. Its on the high end of places in Burlington or Southeast Iowa, the building might be an old railroad building with the high ceilings and exposed brickwork. Final Thoughts: I run into plenty of places recommended in local publications Reader's Polls or Best Of.... lists, and find many to simply be the busiest places in town. 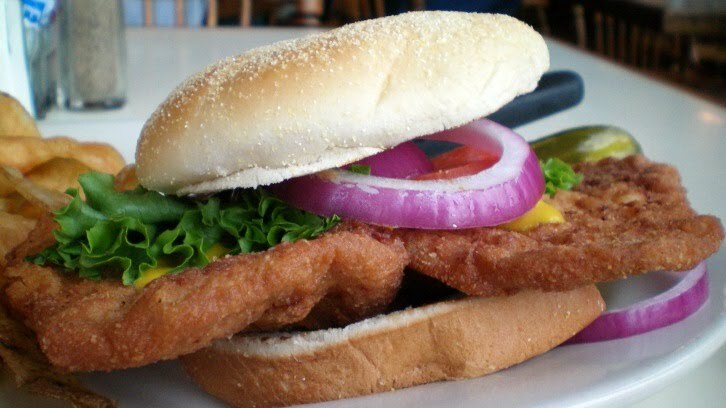 Big Muddy's looks like it has plenty of food on the menu, but calling this tenderloin "the best" misses the mark. I wish I had ordered the frog legs or fish entrees. I also checked out El Taco Casa nearby based on the same poll and was just not impressed with their frequently recommended tenderloin. On my next visit to Burlington I plan on checking out Uncle Ronnie's in West Burlington or the Tender Trap on Sumner St in the south side of town.